Claiming that FOX is refusing to let it air ads for its new ad skipping technology, DISH this past weekend circumvented the network's authority by putting its ad directly in the race via a sponsorship of Leavine Family Racing’s No. 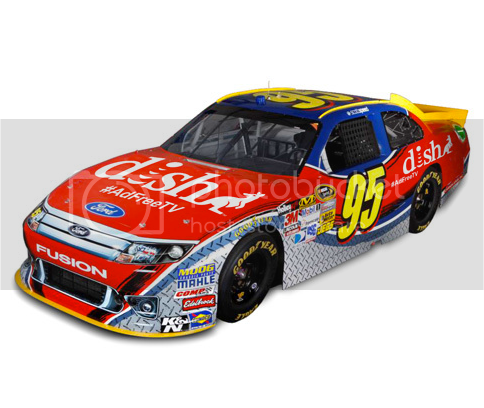 95 Ford Fusion piloted by Scott Speed. As you probably know, FOX, ABC, NBC and CBS are currently embroiled in a legal battle with the Colorado-based company over its new Hopper ad-skipping technology. In a cheeky press release, DISH announced it would appear on FOX despite the "network's censorship of the brand." Naturally, DISH was quick to point out that other than the Hopper logo, the car was "virtually ad-free."